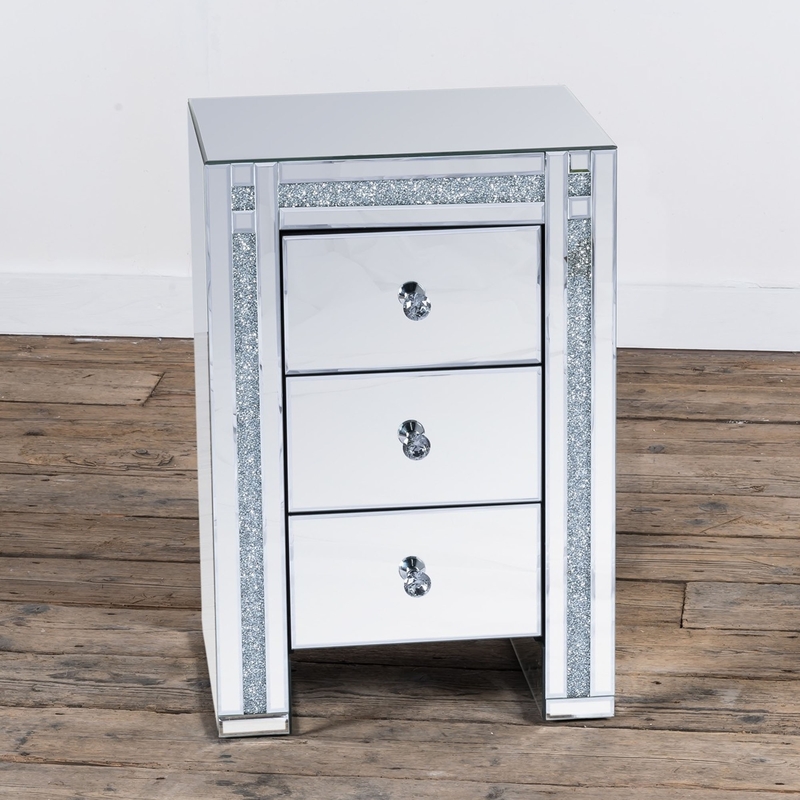 We're proud to introduce the newest addition to our collection of Modern Mirrored Furniture this excellent Venetian Crushed Diamond Mirrored Bedside Table. With a complete mirrored exterior and beautiful crushed diamond design that will simmer effortlessly in the natural light. Finished with three drawers and crystal handles.